I have a bit of a thing for knee length skirts at the moment. Whilst I love them in warmer temperatures with bare legs, I also adore styling them with thick coloured tights when there’s a nip in the air. My latest make for the Minerva Crafts Blogger Network is The Brumby Skirt from Megan Nielsen. 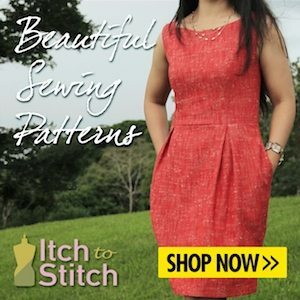 It’s the prettiest gathered skirt, which you can make in different lengths and has wonderful deep pockets and the cutest exposed zip feature at the back. 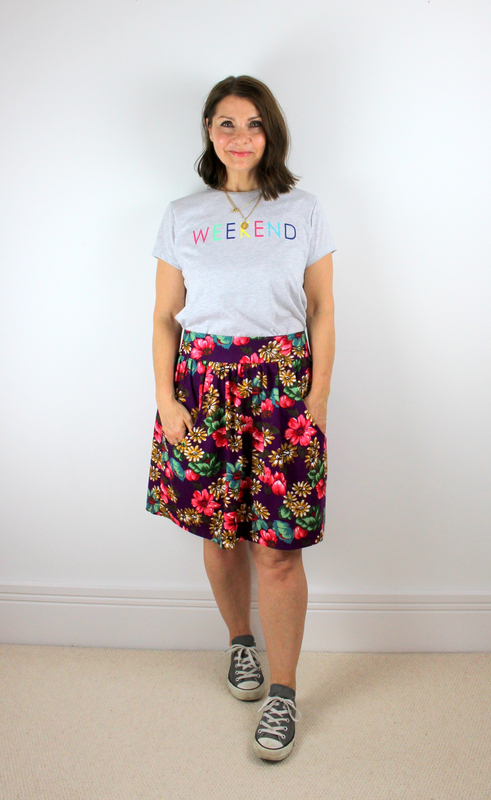 I won’t say too much on my blog here, as you can read the full review over at Minerva Crafts, but I enjoyed making this skirt, and I especially love this vibrant floral needlecord. Unfortunately, I understand that this fabric is now sold out, but I know that they have a great range of alternatives. So for me today, it has been paired with some aubergine tights and I’m Autumn ready. Previous post: A Tilly and the Buttons Delphine Skirt – the first of many. Next post: ‘The Blouse’ from The Avid Seamstress. I love the brumby skirt pattern, I made a denim one last year. Yours is lovely!